Elephant in the Room Men’s Grooming Lounge offers a wide variety of memberships and packages for every discerning man and regular customers who want to maintain their tailored look and receive discounts off of products and services. 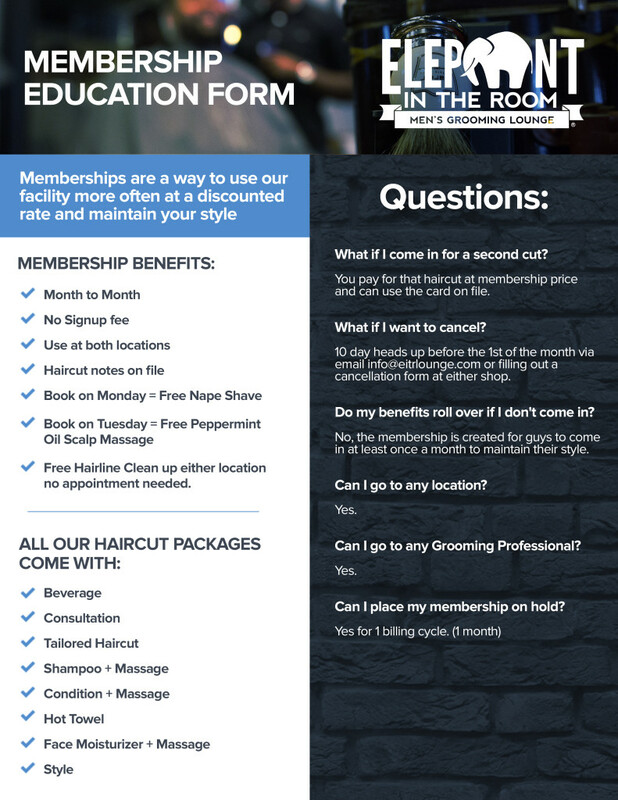 All memberships at the Elephant in the Room Men’s Grooming Lounge have been created for gentlemen who enjoy our facility more often at a discounted rate. WE ENCOURAGE YOU TO EXPERIENCE our Lounge once so that we can help you determine which membership is right for you. 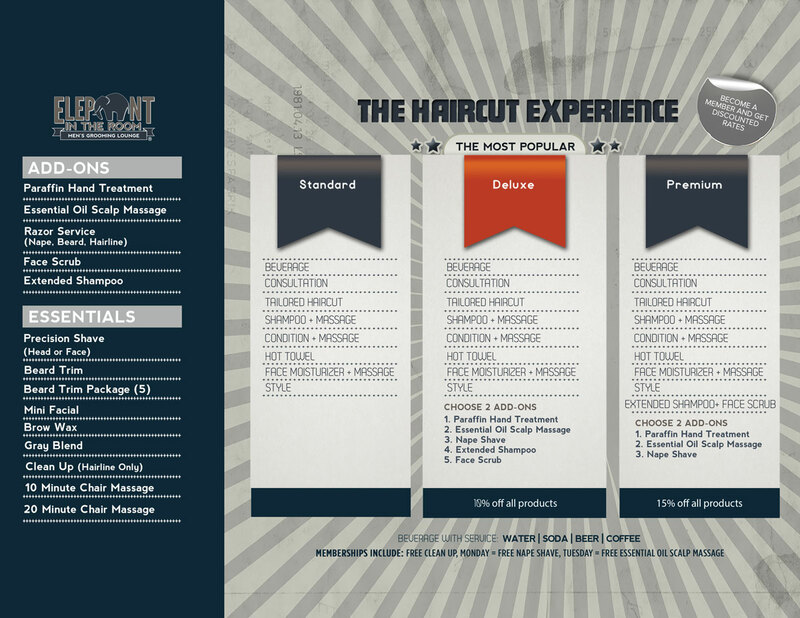 AT EITR you are sure to find a membership that meets all your requests. Call us today at 918-877-2219!